X is the unkEsoteric K-01X SACD/CD Playernown. “X” in a model name symbolizes the ultimate advancements of technology, craftsmanship and creative commitment. VRDS-NEO[VMK-3.5-20S] The culmination of Esoteric’s most advanced mechatronics know-how, the VRDS system radically improves the reading precision of Super Audio CD/CD discs by mechanically correcting for surface run-out. The K-01X’s VRDS-NEO VMK-3.5-20S drive also features two sets of specially selected ball bearings supporting a duralumin turntable constructed to micron-level accuracy, and a 20mm-thick steel turntable bridge. The combined mechanical structure weighs an impressive 5.2kg (12kg including the rigid base). Grandioso D1 Lineage Dual Mono D/A Converters with Separate Left and Right Channel Power Supplies. The D/A converter uses the same design philosophy as our Grandioso D1. Incorporating Asahi Kasei Microdevices Corporation’s 32-bit AK4495S DAC IC and MUSES 02 operational amplifier,* this exceptional DAC uses 8 parallel/differential circuits with 16 outputs driving each channel to achieve outstanding linearity and low distortion. Like the Grandioso D1, this D/A converter also features fully independent power transformers and power supply circuits for each channel to create a true dual mono configuration. 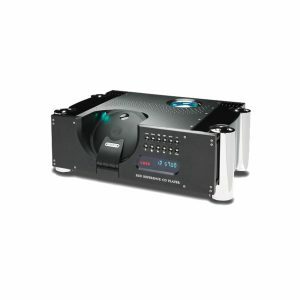 The generous power supply capacity and total channel separation enabled by this arrangement provides excellent dynamics, with realistic stereo imaging and exceptional resolution of fine detail. * AK4495S is a branded product of Audio4pro™ and of Asahi Kasei Microdevices Corporation, and designed for professional studio and digital audio applications. * MUSES 02 is a trademark of New Japan Radio Co., Ltd.
35 bit D/A Processing The K-01X combines multiple 32-bit DAC chipsets and utilizes 35-bit D/A processing algorithm to convert the PCM signal to analog at a high resolution in excess of 32 bits. 35-bit processing achieves an astounding resolution that is fully 2,048 times that of 24-bit processing. In the digital range, full advantage is taken of high-bit data gradation to minimize calculation errors and provide faithful conversion to analog, thereby attaining outstanding powers of expression with even extremely small music signals. Esoteric-HCLD*: Esoteric’s Proprietary Current-Enhancing Output Buffer Circuit. The ability to produce comparatively large currents and high slew rates are two of the most important factors to enable an analog output circuit to accurately transmit the wide dynamic range of a music signal without degradation. To obtain the ultimate performance, the K-01X employs the same Esoteric-HCLD buffer amplifier circuitry found in the Grandioso D1. Two of these buffer circuits are employed per channel. Their high output current capacity and exceptionally fast slew rate (2000V/μs) provide an indication of their excellent response speed. By configuring them differentially to drive the XLR outputs and in parallel to drive the RCA outputs, the instantaneous output current available is maximized. The Esoteric-HCLD circuitry enables the K-01X to recreate the full dynamism of music with a sense of realism that will take your breath away. *HCLD=High Current Line Driver Comprehensive D/D Conversion Compatible with Wide Range of Sources. In addition to playback at the original sampling frequency, 2X, 4X and 8X up-conversion of the PCM digital signal is also provided. A range of D/D conversion modes are also available for the PCM format, such as PCM-to-DSD conversion. Four Types of Digital Filters and a Filter OFF Mode Four types of digital filter can be freely selected for PCM signal processing. Besides two FIR digital filters, which have an established reputation for providing outstanding sound quality, two types of short delay digital filters are also included for a more precise and natural sound. All four digital filters for both PCM and DSD can be bypassed by selecting the Digital Filter Off mode. 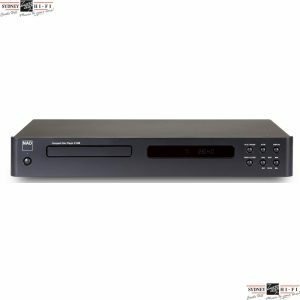 Digital Inputs Support DSD (DoP format) and High-Res PCM Three digital inputs (USB, coaxial, and optical) enable connection to a wide range of systems. Coaxial and optical inputs support DSD in DoP format and high-resolution PCM of up to 192 kHz/24-bit. USB Support for 2.5/5.6 MHz DSD, 384 kHz/32-bit PCM, and Asynchronous Transmission The USB input supports asynchronous transmission and rates up to 2.8/5.6 MHz DSD and 384 kHz/32-bit PCM. Esoteric’s original PC driver software achieves outstanding playback of even studio-master-quality source files. DoP and ASIO 2.1 are also supported. *ASIO is a trademark of Steinberg Media Technologies GmbH. **Mac supports the standard driver DoP format only. Windows/Mac Application for 5.6MHz DSD and 384kHz PCM Audio File Playback. The Esoteric HR Audio Player, for both Windows and Mac OS X operating systems, is a high-quality audio playback application that ably handles high-resolution audio sources when used in combination with the K-01X. 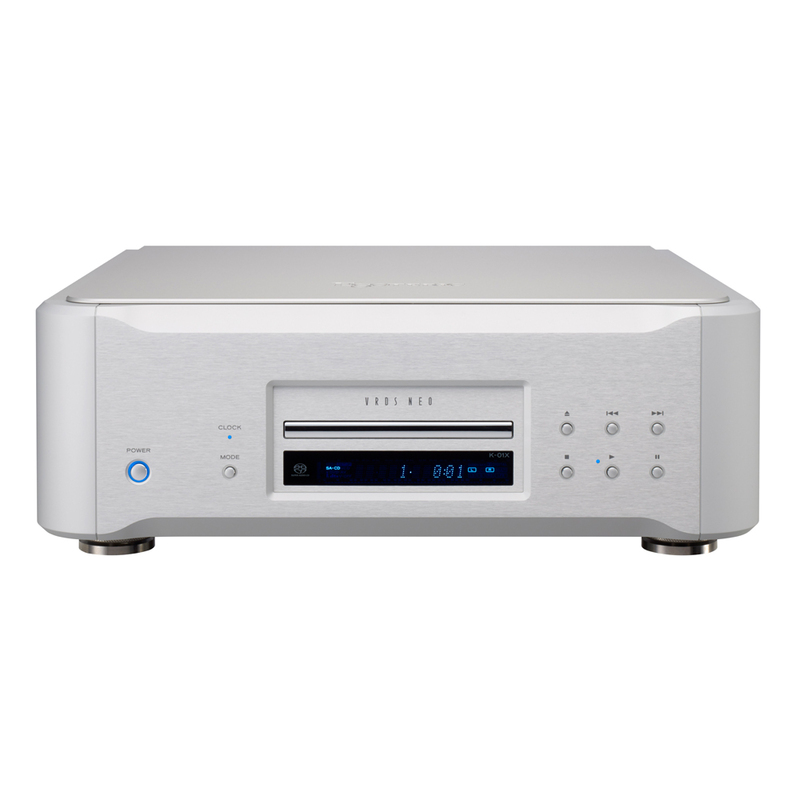 Superb audio quality playback of high-resolution audio sources, including DSD, can be enjoyed without complicated setup. High-Precision VCXO Clock Often considered the heart of a digital player, the clock circuit supplies a high- accuracy reference clock signal to the digital circuitry. Its voltage-controlled crystal oscillator (VCXO) was originally developed for the Grandioso P1/D1 in a joint effort with Nihon Dempa Kogyo (NDK), a major manufacturer of crystal oscillators. As a high-precision custom clock worthy of the world’s leading equipment, this circuit ensures exceptional sound playback quality thanks to an exceptionally large crystal element with excellent center accuracy (±0.5 ppm*) and extremely low levels of phase noise. 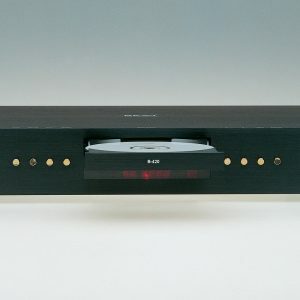 (*at time of shipping) Clock Sync Function for Synchronization with External Devices Connecting the unit to a high-precision master clock generator (G-01, G-02) allows synchronization of the unit’s operation with an external clock signal, thereby enabling the sound quality of the system to be upgraded. Input frequencies are 44.1/88.2/176.4 kHz, as well as 10 MHz and 22 MHz direct master clock linkage. * Synchronization with external clocks is also supported when the USB input is used. *When an external clock generator is connected, its signal is also used to clock the D/A converter, bypassing the internal PLL circuit and providing higher precision D/A conversion. Output Modes The analog audio outputs can be switched between RCA, XLR, and OFF. Hot 2 or Hot 3 XLR pin assignments can also be selected. Support for Future System Upgrades RCA (S/PDIF) or XLR (AES/EBU) digital outputs are provided. These allow to player’s performance to be upgraded by the addition of a top-end Esoteric D/A converter. *This circuit can be turned off when digital output is not in use. Chassis Construction and Parts Layout The VRDS-NEO transport mechanism is positioned in the center of the unit, directly attached to the 5 mm-thick steel chassis bottom, and is supported at three points by Esoteric’s proprietary pinpoint feet (Patent No. 4075477) to effectively suppress the effects of vibration on the turntable mechanism. The chassis interior features a double-deck construction with five compartments. Each circuit block is isolated within its own compartment to minimize interference between circuits. Two separate audio boards for each channel are positioned nearest the rear terminals. The audio power circuitry and power transformers are also isolated from the audio boards, and the power supply wiring has been made as short as possible to minimize the influence of magnetic flux leakage, vibration, and the like. The K-01X features four large-capacity toroidal transformers: one for each of the two built-in monaural D/A converters, one for the audio circuitry, and one for the VS-DD spindle servo driver. This design provides ideal power supply capability to all circuit blocks without interference.